I just got the book "We got Steam Heat" and from the look of it everything is wrong with our steam system. Let me back up a little. 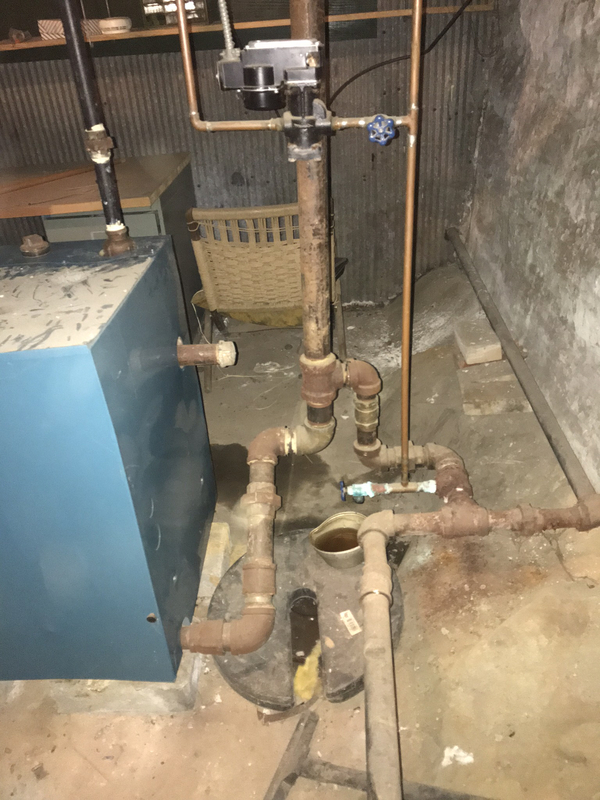 I am a recent house sitter for a new property to me that is a an old farm house with a steam heat single pipe system. It is a pretty big house, 4500 sq ft. We have fuel oil come about every 3 weeks and fill our tanks. It is quite costly. Up until moving in I have never had steam heat. I will be living here for the next couple years. - Not a bit of insulation in our basement on any exposed pipes. - Very uneven heating - main room where thermostat is nice and toasty, far bedrooms stone cold. What is your location? There are some great steam pros on this site. If you are reasonably handy you should be able to turn down the pressure and flush. My guess is many of your problems will go away once that is done. All of those things are things which you can address -- if you are somewhat handy. Insulation. Put it on all the steam pipes in the basement. 1 inch is best -- don't get the cheap stuff from the big box. Pressure. You probably have a pressurestat on the boiler. If it is the most common sort, there is a scale on the face with a pointer, and a screw on the top. Dial that pointer down to a bit above the 0.5 psi mark. Odds are that the differential -- which is on a dial on the inside -- is OK, but you can take the cover off if you like and see. It should be set at 1. Flushing. Steam systems as a whole don't need to be flushed unless you are having water level problems. 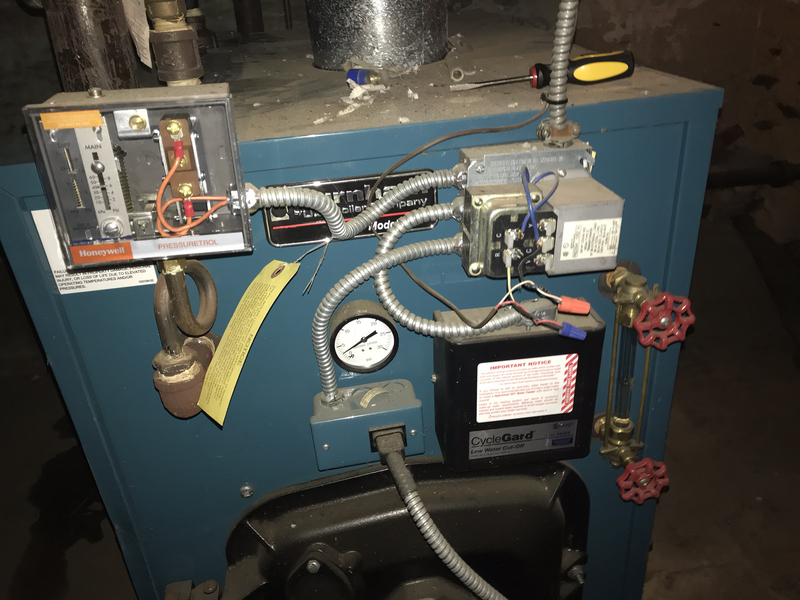 However, there should be a low water cutoff on the front of the boiler. 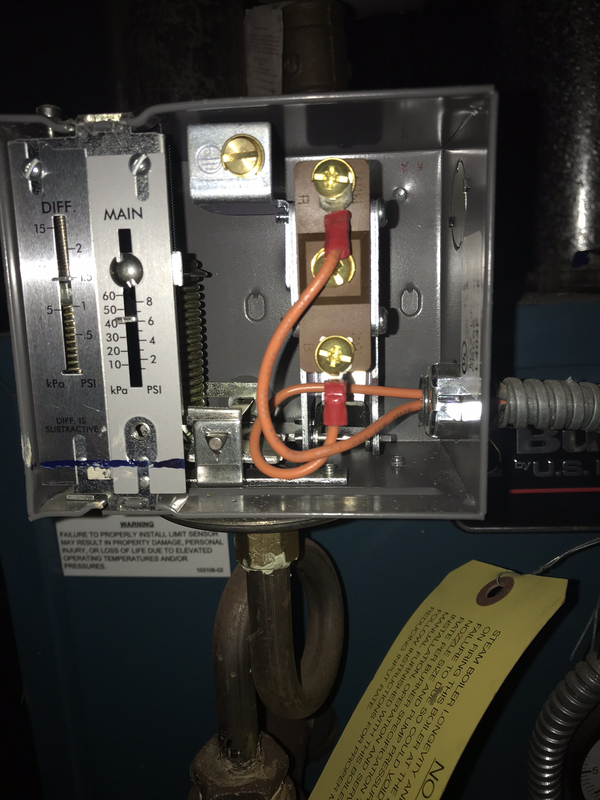 Some of those do need to be flushed, but to advise on that a if you could post a photo of the front of the boiler showing all the controls we can be more specific. Uneven heat. Two steps. First, follow all the steam pipes out to the ends and see if they have main vents on them. They should. If they don't they're needed -- and that you may need to have a pro help you with, as it may be that you have to add fittings to connect them with. If they do have main vents already, they may not be large enough -- but that is easy to fix. 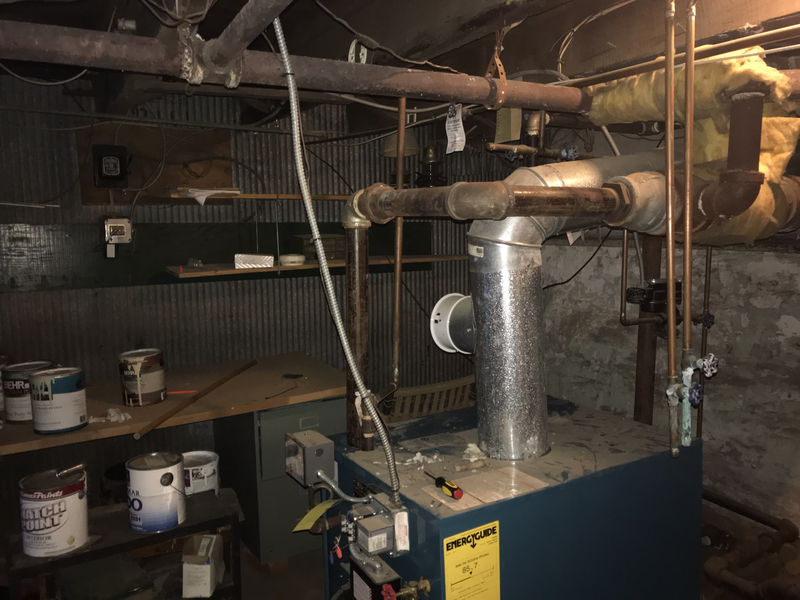 Tell us what size and how long those pipes are, and we can suggest possible vents to replace them with. You really should do that before you try to get the room heating even, but as an interim you could try putting a lower capacity vent on the radiators in the rooms which are too hot. Thanks for your suggestions. I am still not exactly sure what I am looking at yet. I am in Purcellville, Virginia. Please see the posted photos. Ah. That's the less common pressuretrol. There are two scales on it -- one is the "main". It's on the right. You want to set that at 1.5 instead of 6. The other, on the left, is the differential. You want to set that one at a bit above 0.5. You have what is called a "Cycleguard"" low water cutoff. 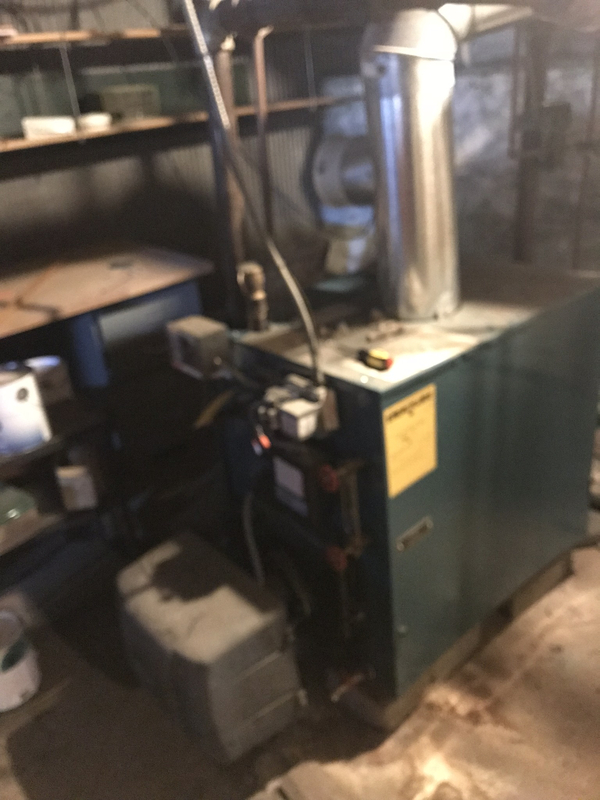 All it requires is that the probe be taken out and cleaned annually which can be done by the same service man who cleans and services the oil burner and boiler -- which should also be done annually by someone who knows what they are doing and has the correct instruments to do it right. You only need to check and see is that the water level showing in the glass tube -- the sight glass -- is somewhere between 1/4 of the way up from the bottom and 3/4 of the way up. Otherwise you're good to go with the boiler... (well, before some of the fanatics scream, no it isn't piped as well as it might be, but I'd leave that alone). Purcellville is just west of Leesburg. Not sure if @Dan Foley comes out that far, but it can't hurt to ask. 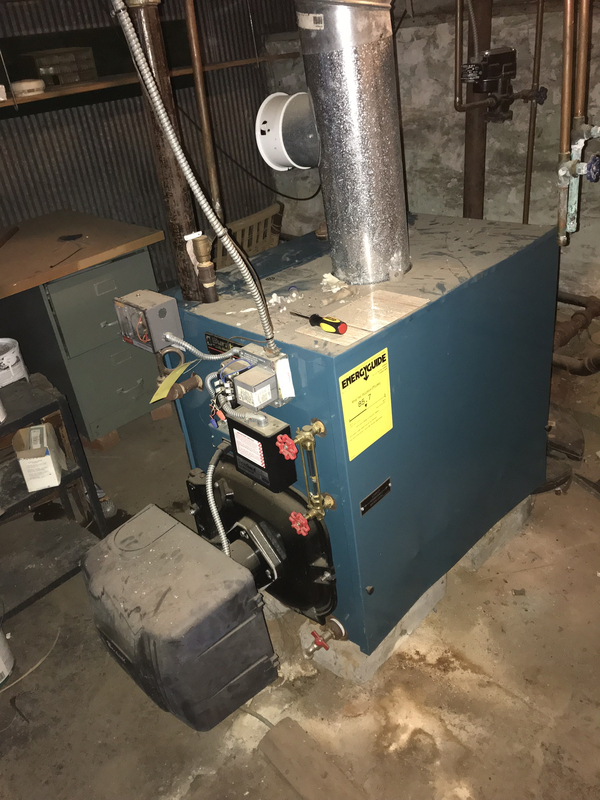 And I'm reasonably certain that boiler requires two risers to the header, and possibly a 3" header, but I'll hold off on that until we see the model number. Improper piping will drastically reduce the system's efficiency.